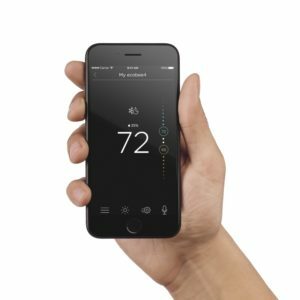 Which Ecobee Smart Thermostat Is Best for Your Home? This is the first smart thermostat with Alexa built in. So instead of buying Amazon Echo separately, you can buy Ecobee 4 and enjoy the benefits of a smart thermostat while at the same time getting answers to your urgent questions and having a personal assistant by your side at all times. Of course, Ecobee 3 still has its own features and benefits that you might find useful. If you are not sure if you should upgrade to Ecobee 4, keep reading this Ecobee 3 vs Ecobee 4 comparison. There is no doubt that Ecobee 3 has changed the game in the smart thermostat industry, leading to a new revolution in this niche. Since it was released back in September 2014, Ecobee 3 has been purchased by tens of thousands of homeowners. The third generation thermostat was greeted with great fanfare, as it has managed to consistently receive better reviews than any other Ecobee thermostat in history. In fact, it has got better reviews than the smart thermostats of the main competitors, namely Honeywell and Nest. Within just four months of being released on the market, Ecobee 3 has become the Editor’s choice for smart thermostats in 2015. According to PC Magazine, Ecobee 3 worked like charm, being loaded with tons of features and benefits, and being suited best for people with flexible schedules. 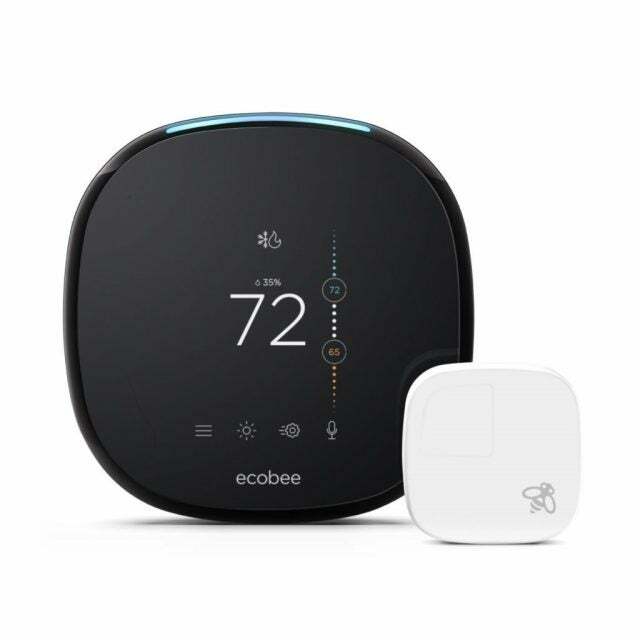 Best Buy and Apple followed suit, advertising and selling Ecobee 3 in their premium stores and on their digital platforms. Needless to say, being promoted by Apple, which we all know has the highest standards in the industry, gave Ecobee even more clout. Americans began to take notice, so the sales of Ecobee 3 skyrocketed. Fast forward, almost 3 years after Ecobee 3 took the market by surprise, Ecobee 4 is poised to break new ground once again. At the moment, Ecobee 4 has been released and is available to purchase here. Just like its younger brother, Ecobee 4 is specially designed to help homeowners save more money on heating and cooling by intelligently adjusting their indoor temperature. The room sensors this device is equipped with help to easily manage the hot and cold spots of a home, adjusting the temperature until it reaches a comfortable level. In addition to being equipped with all the features of the Ecobee 3, the Ecobee 4 smart thermostat comes with a whopping 32 sensors for easier temperature adjustement. Moreover, it has a microphone and a built-in sensor that complement the Alexa built-in engine. The new Ecobee is a total beast that can go head to head with Nest and Honeywell latest thermostats. The Ecobee 3 is one of those smart devices that have totally changed the game. For instance, the third generation of Ecobee smart thermostats is the one equipped with remote sensors. 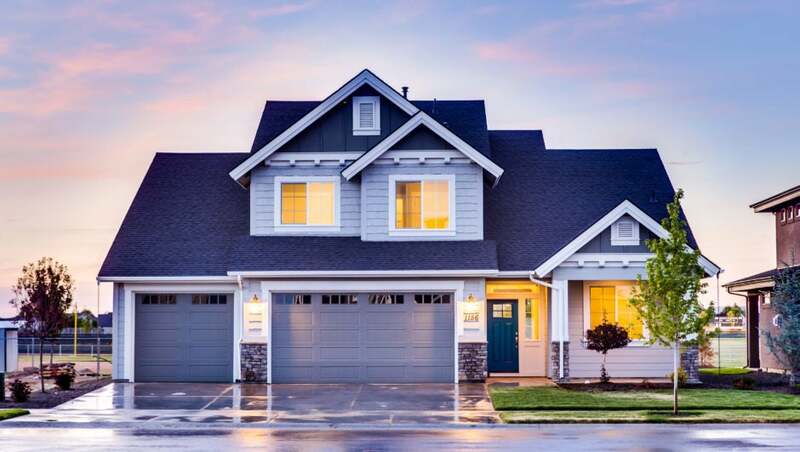 These sensors are placed in various places around the house, enabling you to prevent uneven temperature increases or decreases throughout your home. Ecobee 4 is an advanced version of the Ecobee 3, offering a whole lot of new features and benefits. However, both of these devices have certain similarities, which we will detail below. Voice Built-in Alexa Voice Service and far-field voice technology No built-in voice service. Sensors Room sensor compatible. Comes with one free. Room sensor compatible. Sold separately. Smart Uses room sensors, local weather and your schedule to deliver cost savings and comfort. Uses room sensors, local weather and your schedule to deliver cost savings and comfort. Room sensors: these room sensors that both Ecobee 3 and Ecobee 4 are equipped with can monitor the temperature in several rooms, all remotely. No wires or faulty installation. This is the perfect solution for dealing with cold or hot spots, while at the same time preventing rooms from getting too sweltering or drafty. Both Ecobee 3 and Ecobee 4 allow you to pair up to 32 sensors. They come with one sensor each, but you can purchase additional ecobee room sensors here. In case you have a big house, look for an Ecobee 3 or Ecobee 4 bundle. Mobile app included: each device has a mobile app for both Android and iOs. You can use the app on your smartphone to control the thermostat remotely and to ensure that everything is under your control. Moreover, you can receive alerts, reminders and notifications straight on your phone. Energy saving capabilities: due to the included sensors, Ecobee 3 and 4 know when no one is at home, so they automatically adjusts the temperature in order to reduce the energy usage and to help boost your savings. This smart thermostat can help you save 20 percent alone thanks to its energy saving capabilities. Hardwire connection: both devices run on AC current, so they do not need you to manually replace their batteries. One less thing to do which translates into more time for your daily tasks. LCD touchscreen: both devices have an LCD touchscreen. You can easily personalize the device it according to your own needs and preferences. Compatible with major smart devices, including HomeKit, SmartThings, Wink, IFTTT, and the list goes on. The power extended kits are available for both models: they will come in handy if you don’t have a c-wire connection established already. The power extender kit enables you to power your new device without having to install a c-wire. This kit will also protect you from power outages, giving you the peace of mind needed that this device will work “smartly”. So far, there haven’ been any instances where the Ecobee’s power kit would cause any problems whatsoever. So if you don’t have a c-wire in place, rest assured that the power extender kit will work in your favor. 30 days money back guarantee: you get the guarantee on most retail sites, but it normally depends on the website policy. This is where things start to be interesting. Most upgrades of Ecobee 4 are focused on the Alexa integration. However, this newer version also comes with extra features that could come in handy. Size: Ecobee 4 is slightly larger, with 109 x 109 compared to the 100 x 100 of its predecessor. Design: despite being quite similar to Ecobee 3, the Ecobee 4 is slightly smoother and has a speaker up at the top. Moreover, it has a black coating around the edges which make it blend better with the environment. We like it much better how Ecobee 4 looks. It can certainly complement a wider range of designs and home decors, plus it looks fancier with the built-in speaker at the top. Built-in voice controller: probably the biggest difference between these two smart thermostats is that Ecobee 3 has no Alexa integration at all. You simply can’t talk to the old one. On the other hand, Ecobee 4 is your personal assistant. You can ask it to play your favorite music, stream the latest movies on the LED in the living room, share with you the latest weather forecast, add milk to your virtual shopping cart, search for a product on Amazon, read the latest news, and many more. Everything you can do with Alexa is possible with Ecobee 4. A light on top of it: similar to Amazon Echo, Ecobee 4’s top lights up once it hears the wake word. The navy blue color shines even in the darkness, assuring you that your personal assistant is ready to listen to your commands. Far-voice recognition: Ecobee 3 has no voice recognition whatsoever. Conversely, Ecobee 4 hears you from far away. In fact, this is the exact same technology Amazon has been using for all of their personal assistant devices. The embedded microphone can also respond to your vocal commands through the high-end speaker on the back. One more thing – the quality of the speaker is unbelievable. The commands are loud and clear, and the music is soothing to your ears. Advanced app: the app is more advanced for Ecobee 4 and comes with more features. One of them is that you can control Ecobee 4’s volume while on the go. You can also enter privacy mode and enjoy a whole new world. 1. Do I need Amazon Alexa in my home? 2. Do I have multiple smart home appliances that I want to pair with my new smart thermostat? If the answer to these questions is positive, then you should definitely get the latest Ecobee version. Despite being slightly pricier, Ecobee 4 is the more advanced version of Ecobee 3. If you already have Ecobee 3 and you are looking for an upgrade, this is the time to do it. Click here and start to leverage the power of Amazon Echo in your home. It is much better to have Amazon Echo embedded in your smart thermostat than to buy it separately. The cost is almost double. Now, if you have Amazon Alexa in your household, you should only buy Ecobee 4 if you want to place the thermostat in another room. 2 personal assistants are always better than one. In case you have no smart thermostat or you have one from the competition, whether Nest or Honeywell or any other brand for that reason, we strongly recommend you to give Ecobee 4 a shot. No other smart thermostat comes with a personal assistant embedded in it. If you want to benefit of Alexa’s tons of features, then the Ecobee 4 is worth the extra cost. However, if you don’t think Alexa is helpful for you, then Ecobee 3 is still a valid purchase in 2017 at a fraction of the price Ecobee 4 comes with. Soon enough, Ecobee 4 will be available at a more affordable price. Ecobee is undoubtedly a brand that wants to break new ground in the smart device industry and be remembered as more than just a thermostat company. Their new release, the Ecobee 4, exceeds all expectations in terms of reliability and usability. The first voice-enabled smart thermostat has kept all the positive features of its predecessor, while adding a fancier design and an useful personal assistant. Ecobee 4 is the first in a long line of smart thermostats that have just got smarter than ever before. Take advantage now of the partnership between Ecobee and Amazon and make your life easier than ever before. Ecobee 3 is also a valid choice, but will not let you enjoy the huge benefits of having a personal assistant by your side all throughout the day. In the end, the choice is yours between Ecobee 3 and Ecobee 4. Whichever you buy, rest assured that you have chosen well. CES 2019 is the place to be if you're interested in the latest TV technology. From rollable, hidden displays to gigantic, wall-sized screens, you'll find it all in Las Vegas this year. Take a look at some of the latest innovations from Samsung, LG, and more. It's Mobile World Congress season, which means phone announcements a-plenty, and it looks like Huawei has just stolen the limelight, by revealing its own folding phone, the Mate X, plus new MacBook competitors in its super-slim MateBook range of Windows laptops. Tamara first earned accolades as a music artist utilizing her marketing skills. She has now segued those skills into the world of search engine marketing. With a passion in writing about innovative technology products, she also runs the blog RobotsWorldWide.com which provides news, guides, and reviews on home robotic products and smart home automation devices which makes life easier.